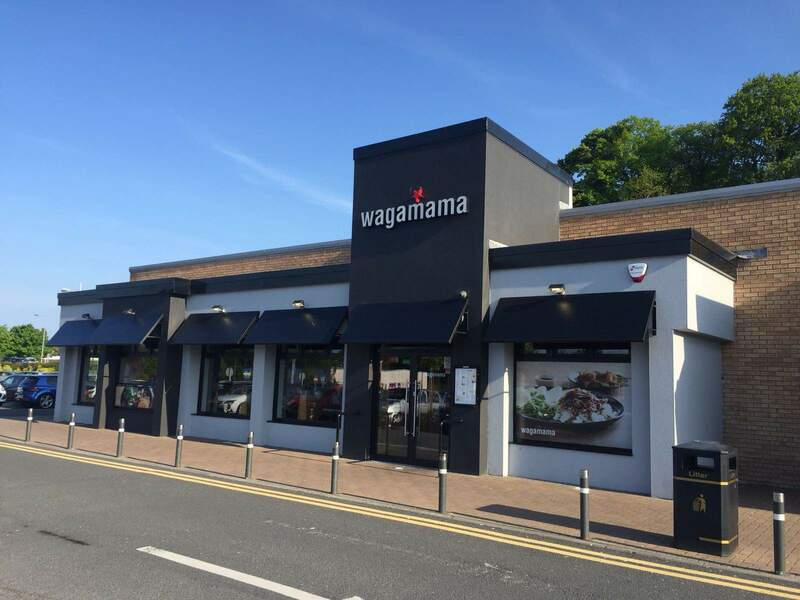 Since opening its door in Belfast in 2011, wagamama has been a hugely popular destination for people seeking high quality, nutritious and delicious food. With two outlets in Northern Ireland (Belfast and Dundonald), the Japanese-inspired pan-asian restaurant guarantees customers enjoy every dish that has been carefully crafted to make them 'feel good'. 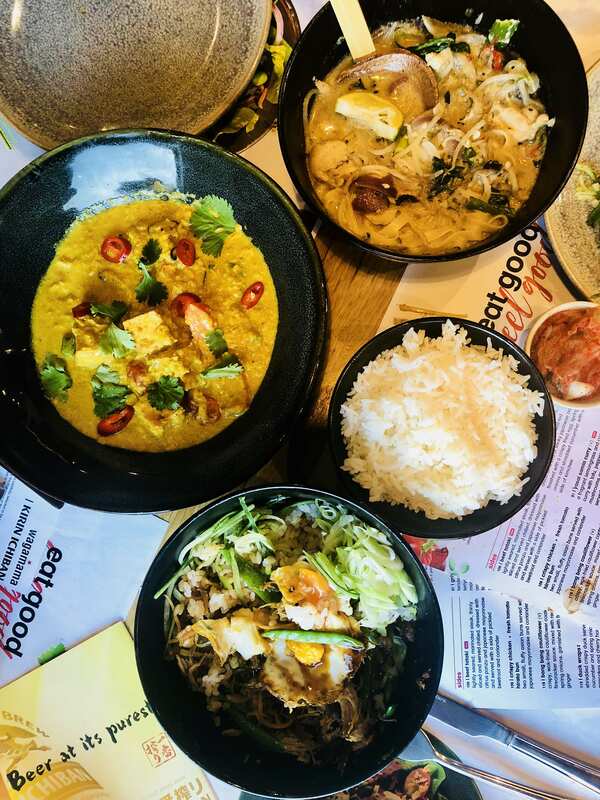 By combining fresh and nutritious food with friendly service and value for money, the ethos at wagamama is to nourish, sustain, soothe and inspire customers. "wagamama is all about positive eating”, commented Mr Eddie Johnston (Managing Director), “the idea that we feed our soul as well as our body. That’s why we use fresh ingredients, cook our dishes with passion and love and serve our food the very second it’s ready, spreading positivity from soul to bowl. The aim in a wagamama restaurant is for all our customers to share in our enthusiasm, relax in good company and leave feeling happy, nourished and refreshed”. wagamama has launched their new summer menu! 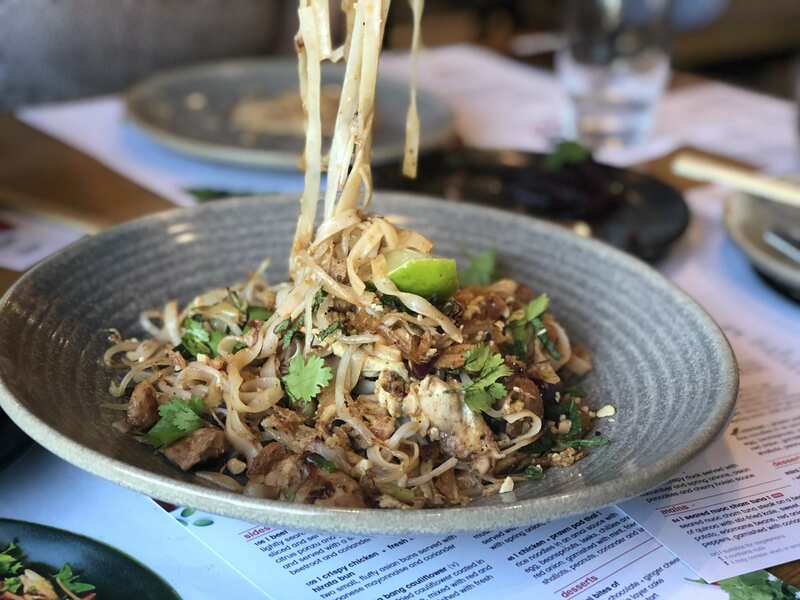 wagamama Northern Ireland have introduced a selection of NEW menu items and they are now available in the Belfast and Dundonald restaurants. With a range of dishes from curry to salad to new omakase (chef’s special) dishes, there is sure to be something for everyone on the new menu! With the great weather this Bank holiday weekend, why not head to wagamama and taste the new dishes that will make you feel good! The asian inspired menu has been created to soothe, nourish, sustain and inspire. You can pick from all kinds of rice and noodle dishes, alongside fresh salads and shareable sides. There are desserts and expertly crafted asian beers too. Pad thai salad: a new take on the old classic, consisting of ginger chicken and prawns on a bed of mixed leaves, mangetout, baby plum tomatoes, shredded pickled beetroot, carrot and red onion. This is then garnished with fried shallots and served with a side of peanuts and nuoc cham and ginger and miso dressing. This dish is a little on the lighter side if you don’t want something as filling as a teppanyaki or ramen dish. 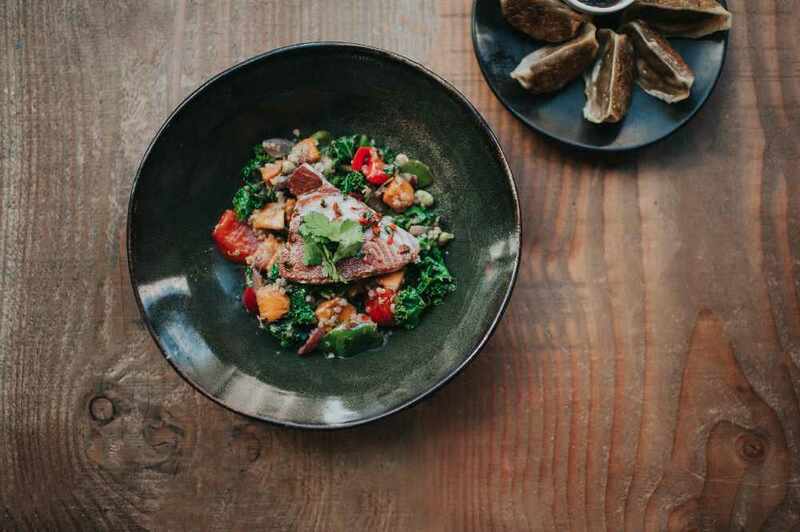 Seared nuoc cham tuna: seared tuna steak on a bed of quinoa and stir-fried kale, alongside sweet potato, edamame beans, red onion and peppers. This is topped with coriander and a nuoc cham dressing. This is a slight variation on the grilled tuna dish that wagamama offered previously, giving it a refresh for the summer season. Grilled bream donburi: a new take on the donburi (literally “big bowl of rice” in Japanese), this dish consists of fillet of sea bream served with sticky rice in a sweet teriyaki sauce. This is finished with carrots, pea shoots, spring onions, spicy vinegar and coriander. Sticky pork belly: citrus and teriyaki glazed pork belly rests on grilled miso aubergine, topped with spring onions, ginger and chilli and served with a side of white rice. If you are a fan of the shirodashi pork ramen, give this one a try. 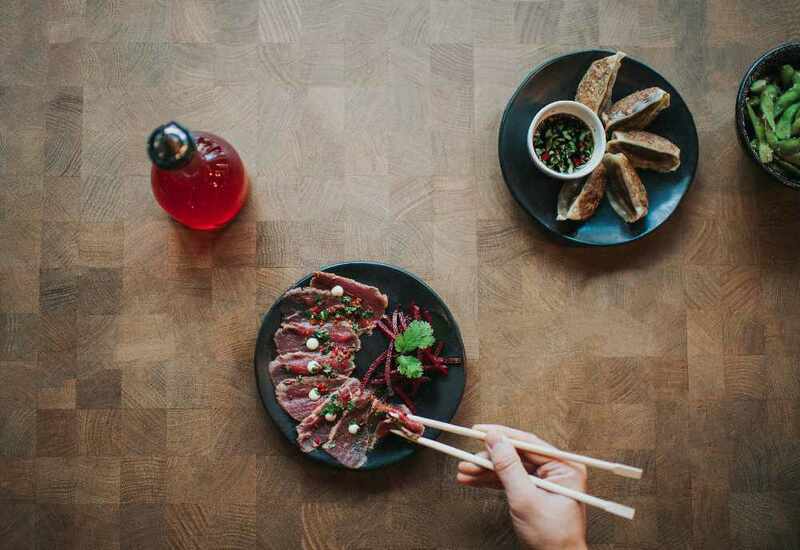 Beef tataki: the beef tataki is a new side dish which is sure to be a hit with lovers of Japanese cuisine. It consists of lightly seared and marinated steak, which has been sliced thinly. 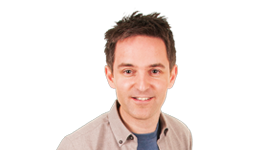 It is served chilled and dressed with citrus ponzu and Japanese mayonnaise, with pickled beetroot and coriander on the side. For more information on wagamama menus, opening times and locations visit here.